Beat the heat this summer with this nifty calculator. Now that the weather is starting to get hot, I am feeling a slight bit of frustration about my running pace. Although this happens to me every summer, the feeling that my pace isn't improving is uneasy. I need to actively remind myself that it is normal to run slower in the heat. Just yesterday I was out on a run and I felt like I am keeping a great pace but when I looked at my GPS watch, my pace was significantly slower than it used to be. While this was initially a frustrating feeling, I needed to keep in mind that as the temperature outside is heating up it is going to have an inverse effect on my running pace. 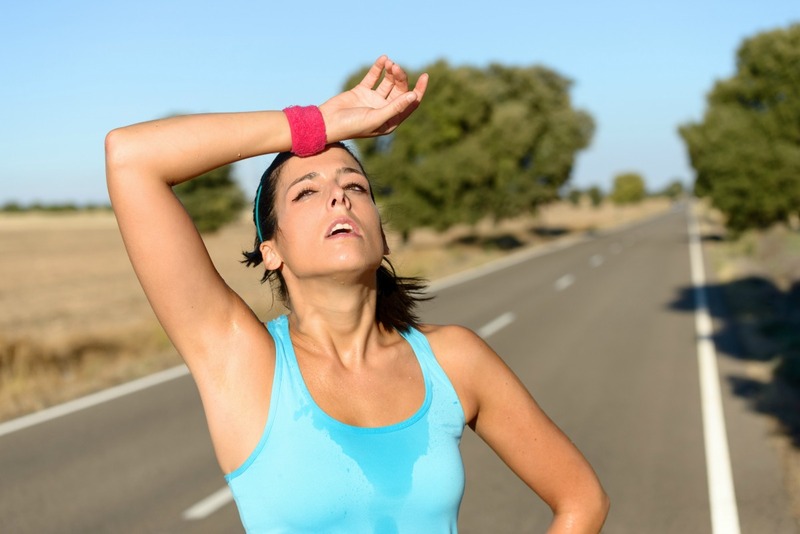 In other words, as the temperature rises, we are going to run slower for the same perceived level of exertion. Or the same pace feels harder on a hot day than on a cooler one. This is one of the reasons I advocate scheduling your runs for time and not for distance (more on that in a future post however…). When I was out on my run in the 30 degree heat here in Edmonton, feeling like a slowpoke every time I glanced at my watch, I remembered an online temperature calculator at Runners Connect which I had seen over the winter. I decided to plug my numbers into the calculator and saw that without the heat my pace was actually on par with my normal pace. However, the calculator, which by the way was developed by the founder of Running Connect, Jeff Gaudette, and legendary running coach Jack Daniels, has an even better use. Use this calculator on your workout days to adjust your goal pace according to the weather outlook. All the temperatures are for the “feels like” temperature, which takes into account both heat and humidity. For example, if you have a 10k tempo run scheduled, simply calculate how long it will take you to finish the entire run (i.e., if you’re running 6 minute pace, your total time would be a 36 minute 10k). Plug in your time and see how much you should adjust your pace for the given temperatures. Try it, it will make your training more enjoyable this summer by managing your expectations of what you consider to be a good run. Mira Jindani, MScPT is a physiotherapist at PhysioMira Physiotherapy in Edmonton, Alberta. She has a Masters of Science in Physical Therapy from the University of Alberta, and has been practicing physiotherapy since 2008. PhysioMira Physiotherapy Edmonton is Mira Jindani, registered physiotherapist, certified acupuncture, Certified Gunn IMS Practitioner, Certified Spinal Manipulative Therapist, Pelvic Health Physiotherapy provider. New location on Whyte Ave serving Bonnie Doon and serving Central Edmonton and South Edmonton including the surrounding areas of Capilano, King Edward Park, Richie, Old Strathcona, Strathearn, Holyrood, Otwell, Idylwylde, and the University and Downtown areas.